Speaking out against what he saw as a decline in rap during the mid-'90s, Jeru the Damaja came to the fore as a self-proclaimed prophet and the savior of Hip Hop, much as KRS-One had done almost ten years before. 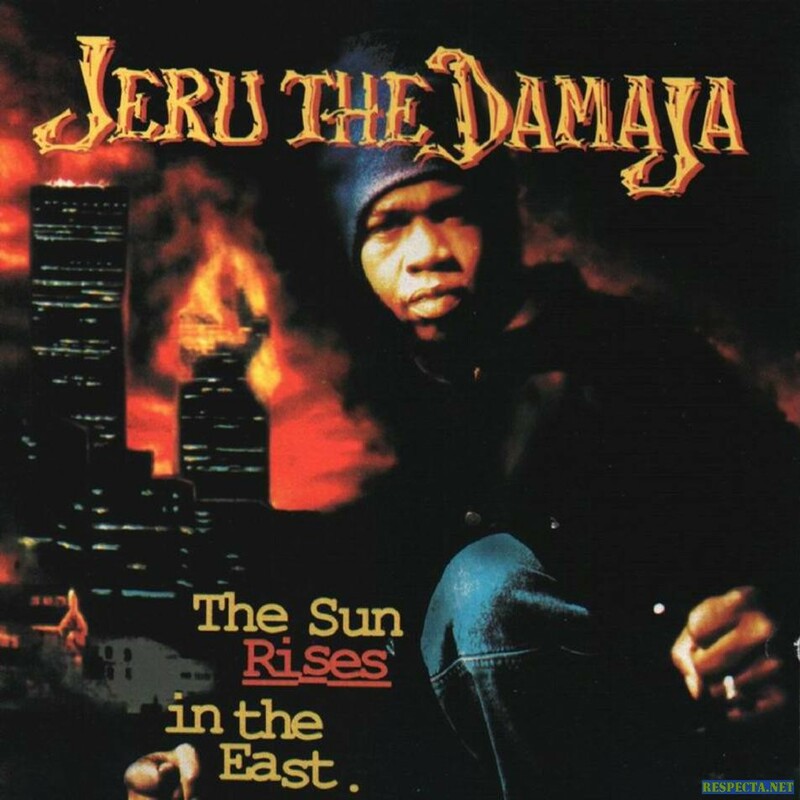 Jeru first appeared as a guest on Gang Starr's Daily Operation album, and his own deal with Payday/ffrr appeared soon after, resulting in 1994's The Sun Rises in the East. Though he made few friends in the rap world - given his outspoken criticism of such popular figures as the Fugees and Sean "Puffy" Combs - he proved a vital force in the emergence of the new rap consciousness of the late '90s. Raised Kendrick Jeru Davis in Brooklyn, the Damaja began writing rhymes at the age of ten. At high school, he met Guru and DJ Premier of Gang Starr, and first guested on Gang Starr's 'I'm the Man', from the 1992 album Daily Operation. Jeru toured with the group during 1993 and released his solo debut, Come Clean, for Gang Starr's Illkids label. The single became an underground sensation and led to his contract with Payday Records. He recorded The Sun Rises in the East with DJ Premier producing, and released the album in 1994. Though the album was well-received, Jeru got some flak for the song 'Da Bichez' - though he explicitly stated that most girls did not fit into the category. During 1994, he appeared on Digable Planets' second album (Blowout Comb) and recorded his follow-up, Wrath of the Math, with DJ Premier and Guru once again helping out with production. The independent record Heroz4hire followed in early 2000, and his protégé, Afu-Ra, debuted in 2000 with Body of the Life Force. Jeru kept a surprisingly low profile thereafter, though he did appear on a stellar track from Groove Armada's 2001 album Goodbye Country (Hello Nightclub). Two years later, another solo album, Divine Design, was released, but it wasn't until 2007 that Jeru made another record, Still Rising. DJ Premier's first album-length production outside of Gang Starr was his best by far. Where Premier's productions hadn't shone underneath the cracking, over-earnest vocals of Guru, with a superior stylist like Jeru these tracks became brilliant musical investigations with odd hooks (often detuned bells, keys, or vibes), perfectly scratched upchoruses, and the grittiest, funkiest Brooklynese beats pounding away in the background. Of course, the star of the show was Jeru, a cocksure young rapper who brought the dozens from the streets to a metaphysical battleground where he did battle with all manner of foe -- the guy around the corner on "D. Original" or an allegorical parade of hip-hop evils on "You Can't Stop the Prophet." The commentary about inner-city plagues arising from spiritual ignorance only continued on "Ain't the Devil Happy," with Jeru preaching knowledge of self as the only rescue from greed and violence. Jeru also courted some controversy with "Da Bichez," at first explaining, "I'm not talkin' 'bout the queens...not the sisters...not the young ladies," but later admitting his thoughts ("most chicks want minks, diamonds, or Benz"). His flow and delivery were natural, his themes were impressive, and he was able to make funky rhymes out of intellectual hyperbole like: "Written on these pages is the ageless, wisdom of the sages/Ignorance is contagious." It lacks a landmark track, but The Sun Rises in the East stands alongside Nas' Illmatic (released the same year, and also boasting the work of Premier) as one of the quintessential East Coast records. Jeru reunited with DJ Premier for this slightly sprawling second record, though fans must have been delirious with joy to find it was similar to -- and usually just as strong as -- his debut. Though it's clear Jeru isn't as hungry a rapper as he was two years earlier, he has just as much to say, and he's just as angry with the state of hip-hop and black life in general. Jeru goes into metaphysical drama once again with "One Day," wherein commercial rappers (including Puff Daddy and Foxy Brown) kidnap hip-hop, and continues his comic-book battles with the evils of rap amidst the backdrop of the Big Apple on "Revenge of the Prophet (Part 5)." Jeru also spends plenty of time directly addressing real-life issues, dissecting the crass, money-hungry hip-hop scene on "Scientifical Madness," running a sequel to "Da Bichez" called "Me or the Papes," and preaching more knowledge on "Ya Playin' Yaself." His version of the classic braggadocio track comes with "Not the Average" and "Whatever," where he uses knowledge as well as immense skills to foil anyone who's testing him. 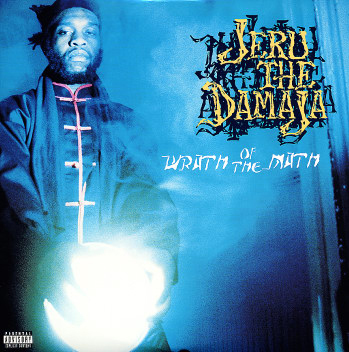 Though Wrath of the Math did sound similar to Jeru's debut, Premier was even more wide-ranging for his backing tracks, ranging from the comparatively atmospheric ("Invasion") to a succession of momentary samples from out of nowhere ("Physical Stamina"). Unfortunately, it was their last time together; perhaps a bit jealous of Premier's sizable profile, Jeru began producing himself with his next record, Heroz4hire. 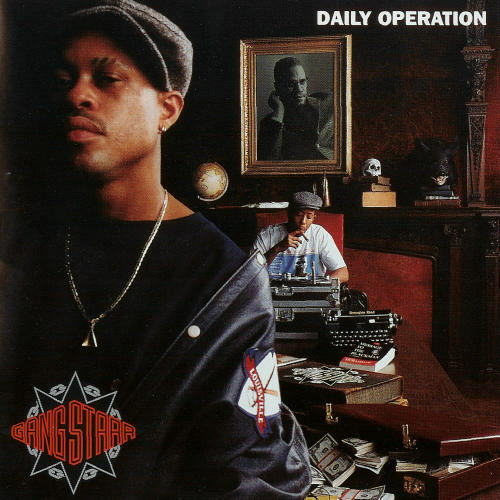 On Step in the Arena, DJ Premier and Guru hit upon their mature sound, characterized by sparse, live jazz samples, Premier's cut-up scratching, and Guru's direct, unwavering streetwise monotone; but, with Daily Operation, the duo made their first masterpiece. From beginning to end, Gang Starr's third full-length album cuts with the force and precision of a machete and serves as an ode to and representation of New York and hip-hop underground culture. The genius of Daily Operation is that Guru's microphone skills are perfectly married to the best batch of tracks Premier had ever come up with. Guru has more of a presence than he has ever had, slinking and pacing through each song like a man with things on his mind, ready to go off at any second. Premier's production has an unparalleled edge here. He created the minimalist opening track, "The Place Where We Dwell," out of a two-second drum-solo sample and some scratching, but is also able to turn around and create something as lush and melodic as the jazz-tinged "No Shame in My Game" without ever seeming to be out of his element, making every track of the same sonic mind. For an underground crew, Gang Starr has always had a knack for crafting memorable vocal hooks to go with the expert production, and they multiply both aspects on Daily Operation. Every song has some attribute that stamps it indelibly into the listener's head, and it marks the album as one of the finest of the decade, rap or otherwise. 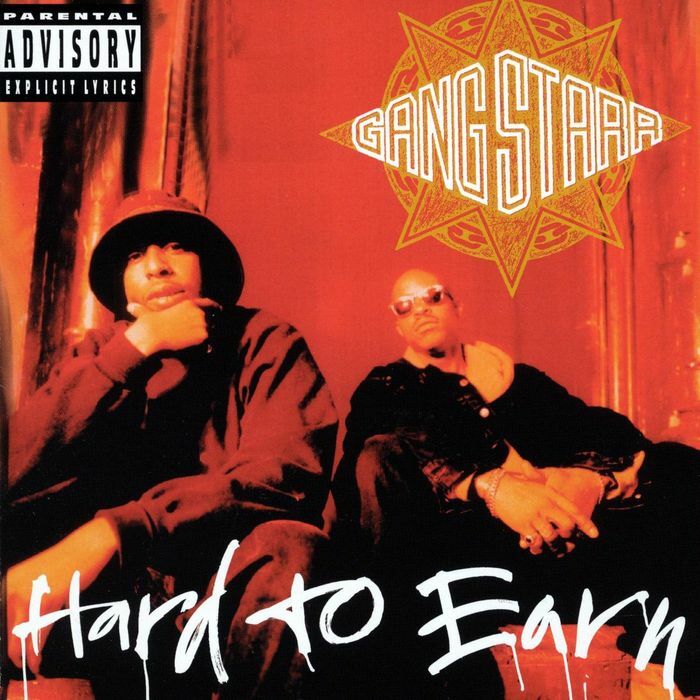 Gang Starr came out hard on their 1994 album, Hard to Earn, an album notably different from its two predecessors: Step in the Arena (1991) and Daily Operation (1992). While those two classic albums garnered tremendous praise for their thoughtful lyrics and jazzy beats, Hard to Earn seems much more reactionary, especially its lyrics. Guru opens the album with a tough, dismissive spoken-word intro: "Yo, all you kids want to get on and sh*t/Just remember this/This sh*t ain't easy/If you ain't got it, you ain't got it, motherf*cker." While this sense of superiority is undoubtedly a long-running convention of not just East Coast rap but rap in general, you don't expect to hear it coming from Gang Starr, particularly with such a bitter tone. Yet this attitude pervades throughout Hard to Earn. Songs such as "Suckas Need Bodyguards" and "Mass Appeal" take aim at unnamed peers, and other songs such as "ALONGWAYTOGO" similarly center on "whack crews." The best moments on Hard to Earn aren't these songs but instead "Code of the Streets" and "Tonz 'O' Gunz," two songs where Guru offers the type of social commentary that made Gang Starr so admirable in the first place. Yet, even though Hard to Earn is a bit short on such thoughtful moments, instead weighed down a bit with harsh attitude, it does offer some of DJ Premier's best productions ever. He's clearly at -- or, at least, near -- his best here. There isn't a song on the album that's a throwaway, and even the interludes are stunning. Given the subtly bitter tone of this album, it perhaps wasn't surprising then that Guru and Premier took some time to pursue solo opportunities after Hard to Earn. You can sense the duo's frustration with the rap scene circa 1994. The two didn't return with another Gang Starr album until four years later when they dropped Moment of Truth, a succinct comeback album that reaffirmed their status as one of New York's most thoughtful and artistic rap acts. 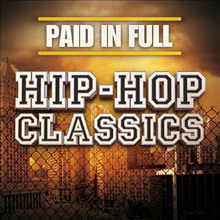 A compilation of no less than 60 of the greatest Hip Hop classic tracks from the very best artists to ever hit the airwaves. Released in 2013.